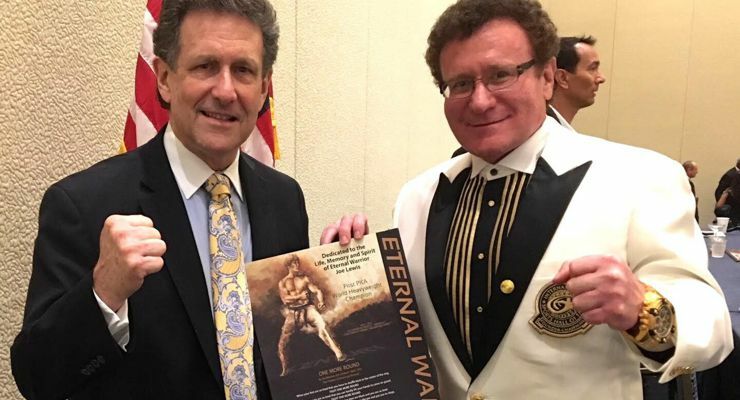 Grandmaster of Success, Dr. Robert Goldman, was the Keynote Speaker at the 2018 AMAA WHO’S WHO in the Martial Arts Legends Awards Banquet on August 4, 2018 and the recipient of the Joe Lewis Eternal Warrior Award. 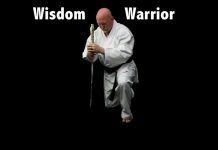 The video at the top of the article is Dr. Robert Goldman’s keynote address titled Secrets of Martial Arts Success., which will inspire martial arts instructors everywhere. Governor Arnold Schwarzenegger honors Dr Robert Goldman with the 2018 Arnold Classic Lifetime Achievement Award. 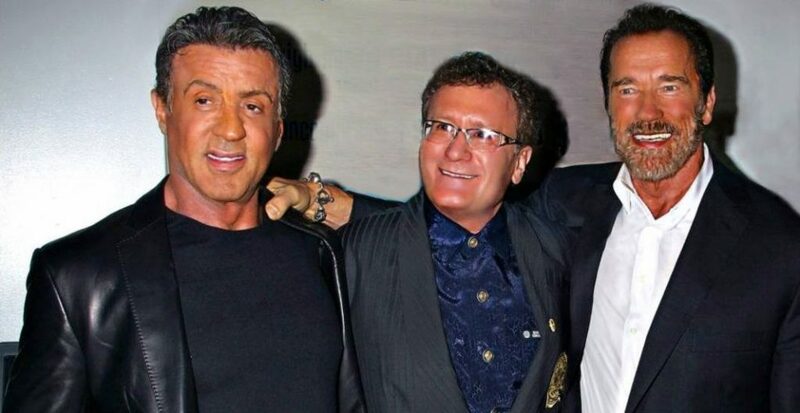 International Sports Hall of Fame founder and World Hall of Fame of Physical Fitness inductee Dr. Robert Goldman received the Arnold Classic Lifetime Achievement Award from Governor Arnold Schwarzenegger when the Arnold Sports Festival celebrated its 30th anniversary this month, March 2018. 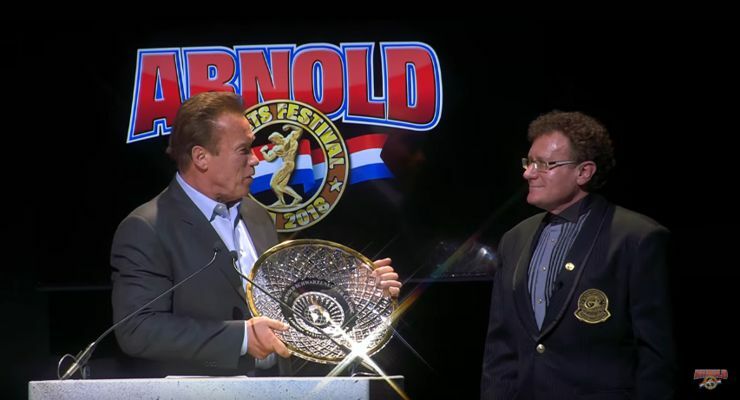 The Arnold Classic Lifetime Achievement Award has been presented every year since 2000 to an individual who has made notable contributions to the fitness industry and offered a lifetime of service to the enhancement of sports performance and promotion. Arnold Classic Lifetime Achievement Award Honorees include Joe Weider (2000), Reg Park (2001), Jim Lorimer (2002), Frank Zane (2003) Bill Pearl (2004), Jack LaLanne (2005) Lee Haney (2006), Cory Everson (2007), Ben Weider (2008), Franco Columbu (2009), Sylvester Stallone (2010), Lou Ferrigno (2011), Robert Kennedy (2012), Rich Gaspari (2013), John Balik (2014), Jim Manion (2015), Dr. Raphael Santonja (2016), Betty Weide (2017) and Dr. Robert Goldman (2018). Dr. Robert Goldman is a world champion athlete with over 20 world strength records and has been listed in the Guinness Book of World Records numerous times. Some of his past performance records include 13,500 consecutive straight leg situps and 321 consecutive handstand pushups. He is also 3rd degree Black Belt in Shotokan karate and a Chinese weapons expert. He has been given honorary 6th and 7th degree Black Blacks as well. Dr. Goldman was an All-College athlete in four sports, a three time winner of the John F. Kennedy (JFK) Physical Fitness Award, was voted Athlete of the Year, was the recipient of the Champions Award and was inducted into the World Hall of Fame of Physical Fitness, as well as induction into numerous Martial Arts Halls of Fame in North America, Europe, South America and Asia. He founded the International Sports Hall of Fame, recognizing the world’s greatest sports legends, with ceremonies held annually at the Arnold Schwarzenegger Sports Festival-the largest sports festival in the world, with over 200,000 participants, 70+ sports represented and over 20,000 competing athletes, making it double the size of the Olympic Games. Dr. Robert Goldman received his Bachelor of Science Degree (B.S.) from Brooklyn College in New York, then conducted three years of independent research in steroid biochemistry and attended State University of New York. He received Doctor of Medicine (M.D.) Degree from the Central America Health Sciences University, School of Medicine in Belize, a government-sanctioned, Ministry of Health-approved, and World Health Organization-listed medical university. He received his Doctor of Osteopathic Medicine and Surgery (D.O.) degree from the Chicago College of Osteopathic Medicine at Midwestern University. His Ph.D. work was in the field of androgenic anabolic steroid biochemistry. Dr. Robert Goldman, holds two Physician & Surgeon Medical Degrees and two PhD Doctorates and has served as a Senior Fellow at the Lincoln Filene Center for Citizenship and Public Affairs., Tufts University and as an Affiliate at the Philosophy of Education Research Center, Graduate School of Education, Harvard University. He also holds Visiting Professorships at numerous medical universities around the world. Dr. Robert Goldman co-founded and served as Chairman of the Board of Life Science Holdings and for Organ Inc., two biomedical research and development companies which had over 150 medical patents under development in the areas of brain resuscitation, trauma and emergency medicine, organ transplant and blood preservation technologies, of which many patents he was co-inventor. These led to the formation of Organ Recovery Systems Inc. and then LifeLine Scientific Inc., a Public Company, which became a world leader in organ preservation and transport. He has overseen cooperative research agreement development programs in conjunction with the American National Red Cross, NASA, the Department of Defense, and the FDA’s Center for Devices and Radiological Health. Dr. Robert Goldman is the recipient of the Gold Medal for Science (1993), the Grand Prize for Medicine (1994), the Humanitarian Award (1995), and the Business Development Award (1996). Dr. Goldman has also been honored by Ministers of Sports and health officials of numerous nations. The President of the International Olympic Committee awarded Dr. Robert Goldman the International Olympic Committee Tribute Diploma for contributions to the development of Sport & Olympism. Dr Goldman was also awarded the 2012 Life Time Achievement Award in Medicine & Science. Dr. Goldman was also one of the very few recipients of the Healthy American Fitness Leader Award, presented by the United States Chamber of Commerce and President’s Council. 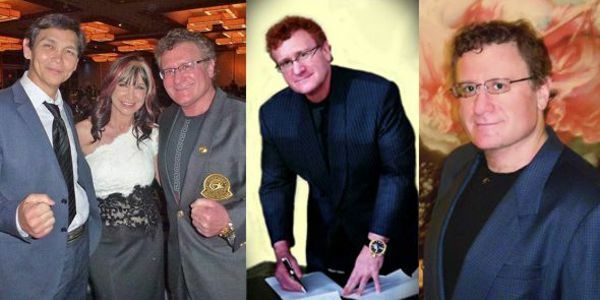 Dr. Robert Goldman has served as Chairman of the International Medical Commission for over 30 years, overseeing Sports Medicine Committees in over 194 nations and is Chairman of the IFBB and NPC Medical Commissions. Dr. Goldman also served as Chairman of the AAU/USA Sports Medicine Council, which oversaw several million amateur athletes. He is the founder of NASM (National Academy of Sports Medicine), the premier fitness certification organization and coined the term CPT or Certified Personal Trainer and he wrote the first certification exam ever done for that profession. He has served as a Special Advisor to the President’s Council on Physical Fitness & Sports and is founder and international President Emeritus of the National Academy of Sports Medicine (NASM) and Board Member Emeritus for the US Sports Academy and Chairman of their Board of Visitors. The US Sports Academy is the #1 sports academy worldwide. 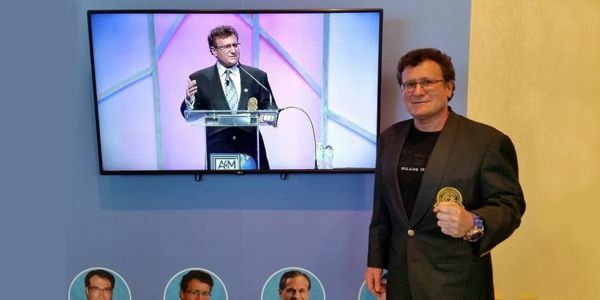 Dr. Robert Goldman is also the Co-Founder and Chairman of the American Academy of Anti-Aging Medicine (A4M), with outreach to over 120 nations. A4M is the world’s largest Preventative Medicine and medical conference/exposition organization, that has trained over 100,000 medical specialists since 1992. Dr Goldman Co-Developed the American Board of Anti-Aging & Regenerative Medicine (ABAARM) and American Board of Anti-Aging Health Practitioners (ABAAHP) Board Certifications as well as the American College of Sports Medicine Professionals (ACASP) certificate exams. He is also co-Founder and Chairman of the World Anti-Aging Academy of Medicine and a Co-Founder of the Tarsus Medical Group, which comprises a family of medical conferences and exposition divisions. Dr. Robert Goldman has authored over 40 books and medical textbooks and hundreds of articles and is the founder of numerous international medical websites, such as www.WorldHealth.net, which is the oldest medical society website, second only to the American Medical Association (AMA) website. Dr. Robert Goldman donates 80% of his time in charitable pursuits around the world, supporting sports, fitness and medical education for the sports and medical communities worldwide, visiting dozens of nations with a focus on youth mentorship.